La Collinette is a long established and friendly family-owned hotel. 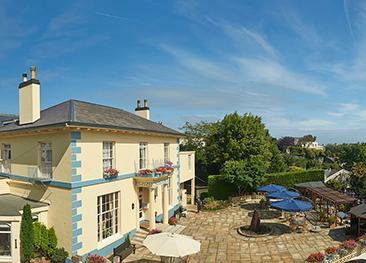 It offers guests a comfortable home away from home, a great location from which to explore Guernsey, and a truly colourful past to discover in and around the hotel’s grounds. La Collinette is always a popular choice and is within walking distance of the shopping district and town centre. Visitors will appreciate relaxing in the bar, restaurant and outdoor swimming pool during the summer months, and will enjoy the convenient proximity to the countryside and beaches. Kids are always very welcome, with a free teddy bear for every young child when they arrive. There is a choice of single, double and twin rooms, as well as suites. Some double and twin rooms feature garden and swimming pool views. The Suites overlook the hotel’s grounds and include cooking and dining facilities. All rooms are en-suite and equipped with high quality linens, TV, DVD player, tea & coffee facilities, complimentary fruit and mineral water on request. The hotel restaurant serves a brasserie style menu with a choice of dishes prepared as much as possible with fresh local products. The hotel’s bar is a great place for a beer or a more sophisticated cocktail. The Staff at La Collinette are always happy to help you plan a discovery day or an excursion. Don’t hesitate to ask! There is a heated outdoor pool as well as a kid’s pool. Massages can be booked with the in-house masseuse. 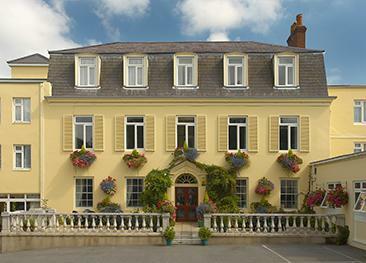 There are no disabled rooms available at La Collinette. Was in Room 5. The Wall Hung TV was in the middle of the Room wall, between the 2 windows and drooping down. Poorly installed and therefore could not swing round, facing the bed. Very odd to place the TV there. Excellent service from very welcoming, helpful and friendly staff. staff friendly food delicious. Pool had a lot of dead flies on top needs new filter. People outside of hotel can use the pool etc which I didn't like. The hotel was clean and the room was great with huge balcony. Would recommend for a short break. The hotel was named' La Collinette' not as above! A lovely place to stay. 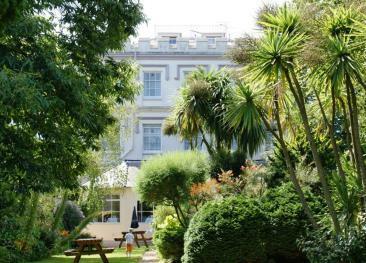 Generous apartment well equipped and within easy reach of St Peter Port.